Why is it so difficult for people to find compromise? Have we forgotten how to truly listen to opposing views? In this episode, we dive deep into these questions with Professor Walter Wright, an expert in mediation and conflict resolution, who takes the time to explain how to resolve differences with other people…or at least how to try. In addition to talking about the basic principles of interests based negotiation, we also summarize and explain techniques used by professionals in the field of conflict resolution to help people recognize humanity in those with whom they disagree. Every day, people who never thought they’d see eye to eye are able to reach compromises in a way that preserves relationships - it really is possible! But as Professor Wright explains, it takes work, and a big part of that is just learning how to approach conflicts in a different, more thoughtful way. This was a wide ranging conversation, touching on Maslow’s hierarchy of needs, restorative justice in schools, and even how cultural norms impact the way we approach and resolve disputes. Choosing a new way to approach disagreements can truly be life changing. As Professor Wright explains, it starts by taking the time to listen to each other…even when we disagree. I hope you enjoy this show about finding the purpose in the process of resolving disagreements! Thank you Professor Walter Wright! Click here for Professor Wright’s info and bio, and here for his extensive curriculum vitae. The Kraybill inventory (used to help understand and reveal preferred style of conflict management). Getting to Yes by Fisher/Ury. We briefly reviewed the interests based process in this book, but there’s a lot of detail we didn’t have time to cover. If you want to take the next step in learning how to resolve disagreements in any environment (or even just how to negotiate better) I highly recommend it. Getting Past No is the follow-up book by Ury and is a good add-on for dealing with difficult people. Tribe by Sebastian Junger is the fantastic book I mentioned when we were discussing the importance of being accepted back into a community. That’s just one of the many interesting topics in this book that is totally worth your time. The Moral Imagination: The Art and Soul of Building Peace by John Paul Lederach is the author's latest book on faith based conciliation and mediation. His work was highly recommended by Professor Wright! If you’re interested in learning more about how cultural norms impact our approaches to each other, here’s a link to a well known book Cultures and Organizations: Software of the Mind by the Dutch father and son duo, the Hofstede’s (Prof. Wright briefly mentioned them toward the end of the interview when discussing how cultural norms impact dispute resolution). Do you live in Austin and want to learn more about community dispute resolution? 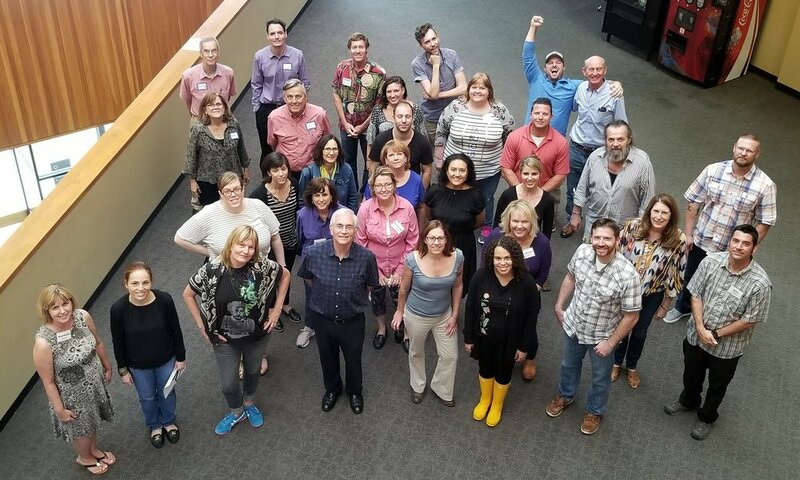 Check out the Austin DRC at https://austindrc.org - this is where I met Prof. Wright and an entire class of fun folks who were all wanting to learn more about resolving disagreements. You can become a trained community mediator and volunteer your time (no, you don’t have to be a lawyer!). If you’re outside of Austin, chances are there is some type of community dispute resolution center near you - just google “dispute resolution center” with your city and state. Finally, if you want to learn more about attorneys focused on offering an innovative, less relationally disruptive, and confidential way to resolve disputes, check out the Global Collaborative Law Council at https://globalcollaborativelaw.com/. I hope you enjoyed the show! You can sign-up to learn first about upcoming guests, special shows, and inside news by entering your email address in the form below. Don’t forget to subscribe by clicking the links below, share with your friends, and spread the news - thanks! !